Thanks to all our sponsors for their generous support. If you'd like information about our sponsorship program, please email [email protected]. CAIS selected EarlyBird Power to manage the CAIS Coop, an energy buying group that leverages the volume of 45 participating schools. By aggregating the total load of the group, each school is able to secure the lowest available rates for their electricity and natural gas supply. Independent schools also seek EarlyBird's expertise in leveraging available rebates and incentives for energy efficiency upgrades and solar installations for their campuses. Contact EarlyBird Power if you would like to learn more about the CAIS Energy Coop for your school. Joseph Cichowski 203-572-0200 X303 Ash Creek Enterprises specializes in a wide range of services, including tailored IT services and solutions for small and medium sized businesses, educational institutions, and non-profit organizations in Stratford, Fairfield County and throughout Connecticut. We are committed to providing each and every one of our clients with high quality service and support. Our unparalleled IT team is incredibly friendly and will help you every step of the way in supporting your organization. One stop shop for education technology. Featuring Ricoh/Savin print technology; Interactive Whiteboards/projectors, state of the art multi-function print devices and custom software solutions. HP Premier Partner, first in class MPS programs to fit your needs. Modern digital Imaging facility, to digitize your past while gaining compliance towards the future. SOC II certified data center, ready to house your virtual/cloud servers. BlumShapiro is the largest regional accounting, tax and business consulting firm based in New England with offices in Connecticut, Massachusetts and Rhode Island. We have grown to nearly 400 accounting, consulting and administrative professionals, making us the one largest public accounting firms in the U.S. 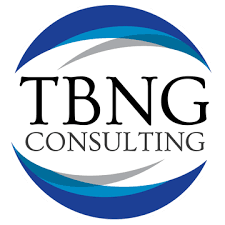 Drawing upon our breadth and depth of experience in our primary service areas — educational institutions, privately held businesses, non-profit organizations and government entities — we strategically tailor and consistently deliver tested solutions for unlocking the full potential of your organization. Chase has served the unique banking needs of Independent Schools for decades, Our Education & Not-For-Profit Banking Team continues to provide specialized support and solutions for this important community, so that the focus can remain on enriching the lives of students. Our dedicated experts can provide customized banking and cash management solutions to help you reduce expenses, improve operating efficiency and provide students, faculty, staff and vendors with greater convenience. Additionally, we can provide specialized financing solutions to help streamline cash flow and maximize the current and future plans for your school. By working with our team of specialized professionals, you gain access to decades of real-world experience and proven solutions built upon efficient, secure, and reliable technology. As your needs change, our products and services adapt to an evolving technological, legal and financial environment so you can take advantage of tomorrow’s opportunities. John Toscano 959-200-7211 CohnReznick LLP is a leading accounting, tax and advisory firm serving the specific needs of independent schools throughout the Northeast. Because of our year-round focus, our professionals advise our clients with the insight gained from maintaining an in-depth understanding of the independent school environment. In addition to high quality assurance and tax services, we regularly advise on such matters as risk management, best practices, benchmarking and process improvement. Jim Guiliano 860-306-7134 Project/Program Management, Owner's Representative Services. Russell Learned 860-767-0175 Centerbrook Architects has designed learning and social environments tailored for 49 independent schools. Our goal is to discover each school's distinctions and make comfortable places for all kinds of individuals. Schools tell us our collaborative methods help them define goals, set priorities, and articulate visions that reflect their characters and support their missions. Sandy Rice 203-316-5433 ELM provides award winning, comprehensive landscape maintenance, landscape installation and water management services to several of Connecticut's independent schools, colleges and universities. Celebrating our 40th year, the expertise and accountability of our seasoned staff improves a campus landscape presentation, while reducing strain on your fiscal and human resources. 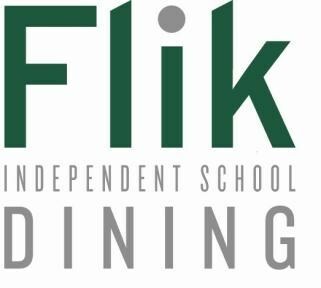 Elsie LaCourt 508-208-1594 Flik Independent Schools is a dedicated dining service specialist committed to providing freshly prepared nutritious foods. We customize dining service solutions for the academic communities that embrace a lifestyle that includes sustainability and social responsibility. Chris Duble 978-322-7225 Insurance broker and risk management adviser specializing in educational institutions - property/casualty insurance broker for the Nutmeg Group. George Howe 203-929-5750 Gregory & Howe is a Professional Management Company whose expertise is compliance with Federal and State Safety Regulations inclusive of drug and alcohol testing and student transportation vehicle (STV) drivers requirements as outlined in the Connecticut General Statutes. 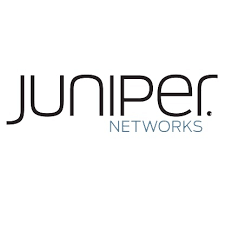 Miguel Adorno A longtime leader in the industry, Juniper has earned the trust of schools and institutions to deliver networks with ample performance, reliability, resiliency, and security to meet digital learning and business goals. Michael LeBlanc 203-852-8800 Founded in 1993, LeBlanc Communications Group provides telecommunications infrastructure for independent schools, non-profits and corporations in Connecticut. We install state of the art and easy to manage network-based phone systems. We also work closely with school IT staff to fully manage these systems and proactively manage the telecom carriers (both billing and technical matters). We often provide switching and wireless infrastructure, fiber between buildings or wireless on rooftops as needed to connect remote locations. Our focus is on simplicity, redundancy and cost savings, which is often significant! We offer at least a 15% discount for CAIS member schools. Edward B. Whittemore, Esq. 860-240-6075 With more than 100 attorneys in six offices throughout Connecticut, Massachusetts and New York, Murtha Cullina LLP offers a full range of legal services to meet the local, regional and national needs of our clients. Our practice encompasses litigation, regulatory and transactional representation of businesses, governmental units, educational institutions, non-profit organizations and individuals. Core practice areas include litigation, insurance recovery, labor and employment, bankruptcy and creditors' rights, construction, energy, health care, immigration, trusts and estates, real estate, land use and retail and hospitality. Chris Cappello, AIF 617-535-6946 X333 New England Retirement Consultants is an SEC Registered Investment Advisory firm specializing in investment advisory services & consulting to 403(b), 457(b) plans and Endowments. 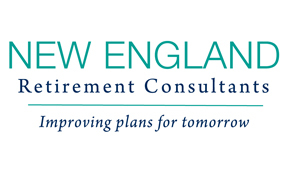 New England Retirement Consultants provides prudent due diligence on school retirement plans, fiduciary education for staff and trustee roles & responsibilities and tailored education to 403(b) & 457(b) participants. New England Retirement Consultants helps your school create effective fiduciary oversight by becoming your Investment Fiduciary Partner. We will act as a fiduciary to your plan as your choose — partial or discretionary. Improving Plans for Tomorrow is our motto; we help to make good plans event better! Catherine Longwell 978-264-0160 At OMR Architects, we believe in a collaborative approach to architecture in which every building study and design is a unique response to our client's goals, concerns and needs. Our vision is to transform the day-to-day experience of the people who learn, play, work and live within the spaces we create. Our projects are varied and include an extensive list of independent schools as well as public schools, municipal, religious and residential projects. P&D is not your typical school software and website design company. Our “High Tech, High Touch Services” means that we maintain almost daily contact with the schools we work with so that managing data from birth to bequest is an ongoing collaboration. This solution–a combination of our software and our services–has been in development since 2008 and is now comprised of over 15 totally integrated apps with customizable components, mobile flexibility and seamless integration with a school’s website, as well as the likes of SchoolMessenger, DiamondMind, Google and more. Pullman & Comley has earned a reputation as one of the preeminent providers of legal services, serving clients throughout Connecticut, the Northeast, and internationally. We are close and trusted partners to our clients, committed to providing the highest levels of service and value through hard work, innovative thinking and delivering real results. We believe that when our clients are successful, we are successful. Since 1919, our firm has continued to grow and adapt to meet our clients’ changing needs, helping them to address the challenges and opportunities of every economy. We serve major financial institutions, public and private companies of all sizes, health care providers, service businesses, trade associations, manufacturers and emerging growth businesses in the alternative energy and information technology industries, as well as government entities, educational institutions, non-profit organizations and individuals. With offices in Bridgeport, Hartford, Stamford, and Waterbury, Connecticut and White Plains, New York, our firm is organized into practice sections that offer clients both depth of experience and the flexibility to team across disciplines for customized, solution-oriented service. In addition, because of our strong roots in Connecticut, we often collaborate with out-of-state law firms, serving as local counsel in corporate transactions and litigation matters. Our membership in the Law Firm Alliance, an international affiliation of law firms, gives our local clients the benefit of global reach. Our reputation has been built by every member of our firm. We take great pride in working together to produce excellent results for our clients, and in contributing to the communities in which we live and work. Our culture of pulling together with our clients, through good times and bad, sets us apart from others in the profession. William Hannum 978-623-0900 Since 1995, Schwartz Hannum has served as an invaluable ally to organizations looking to promote positive employee relations and resolve disputes. We guide employers on matters of labor and employment law, representing local and national businesses in industries including financial services, healthcare, hospitality, manufacturing, and technology. We also guide educators on matters of education law, representing independent schools, colleges and universities. Our practice is characterized by responsiveness, confidence, creativity, and candor. Our team of seasoned professionals have established the firm as a leading provider of thoughtful, results-oriented legal counsel. Julie Fay 860-251-5000 Shipman & Goodwin LLP is a full-service law firm with over 170 attorneys in offices in Connecticut, New York and Washington D.C.
Jeff Granoe 203-876-9607 Connecticut Based professional information technology consulting firm specializing in custom network design, security implementation, managed support, and project deployment solutions for organizations looking for best of breed hardware and the highest quality of service. Kathleen Backenson 518-817-9892 Trane offers energy-efficient, comprehensive facility solutions, and is a single-source provider of equipment, controls, service, parts, energy procurement, energy management systems and performance contracting for high-performance buildings. Christopher Brigham 203-786-8310 Updike, Kelly & Spellacy, P.C. combines its Connecticut roots and entrepreneurial spirit to provide legal representation across diverse practice areas and industries. This diversity empowers us to provide to our clients proactive and innovative representation and solutions to the complex issues and needs. Individually qualified, our attorneys work as a team in order to offer our clients guidance over multiple practice areas. 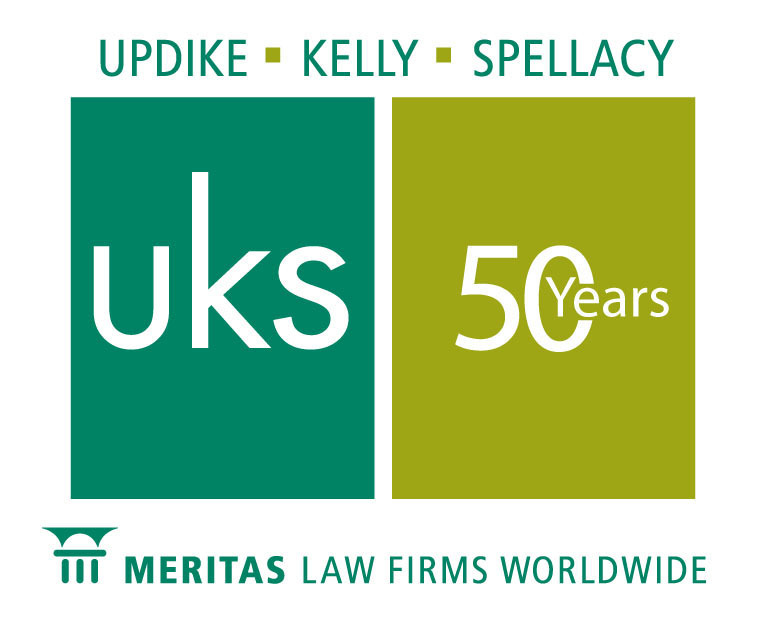 With offices statewide UKS prides itself on being at the center of law, business and community. Our Employment Practices Group focuses its practice on representing and counseling schools and businesses with respect to workplace and employment law issues as well as conducting internal investigations involving all forms of workplace disputes and claims of discrimination and/or sexual harassment and conducts Title IX investigations for universities and colleges. Members of our Employment Practices Group are frequent speakers at CAIS, TABS and NAIS. John Duggan 860-756-7419 Willis Towers Watson is a leading global advisory, broking and solutions company that helps clients around the world turn risk into a path for growth. We design and deliver solutions that manage risk, optimize benefits, cultivate talent, and expand the power of capital to protect and strengthen institutions and individuals. Our unique perspective allows us to see the critical intersections between talent, assets and ideas — the dynamic formula that drives business performance. Together, we unlock potential.